Afton State Park – Afton, MN – Provides an excellent combination of grassland, woodland and riverine habitat for a wide variety of bird life. Restored prairie areas are excellent for eastern meadowlark, bobolink, savannah, vesper, field and Henslow’s sparrows. 29 species of warblers have been recorded in the park. The 1600 acre rugged, rolling landscape of this park provides excellent hiking and skiing opportunities with scenic overlooks of the St Croix River. The Prairie Walk interpretive trail, oak savannas and wooded river valley offer an interesting contrast of wildlife habitats. The visitor center offers a good place to get oriented to the trails and special features of the park. 20 mi of hiking trails, within 10 mi bike trail and 5 mi horse trail; 18 mi cross-country ski trail and a sliding hill. Grand oaks and delicate prairie flowers grace the rugged, rolling landscape of Afton State Park. 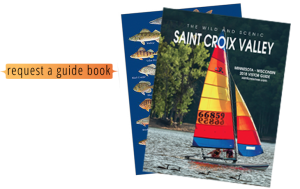 Trails traverse remnant and restored prairies, wind down deep ravines and rise up on grassy ridge tops and bluffs overlooking the St. Croix.